The Garin Farm in Iloilo. It's been 4 years since I first and last visited Iloilo. I was solo backpacking then here with side trips to Iloilo and Guimaras. I have so far visited the typical tourist spots in these 3 places. I missed the cup of hot la paz batchoy that I ate every day there! 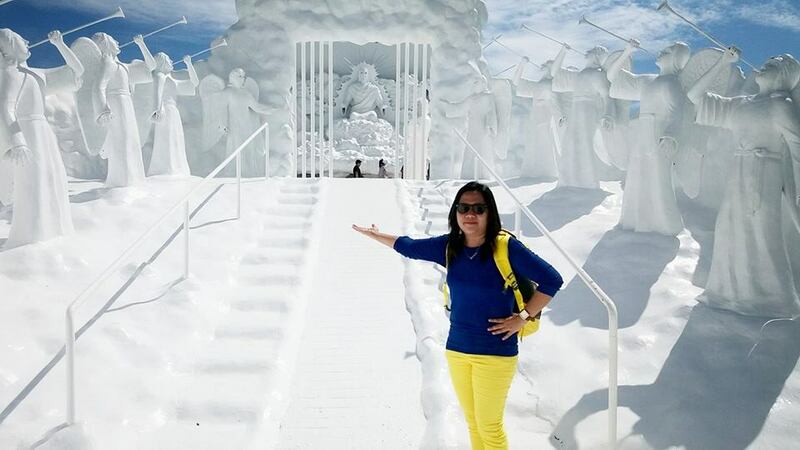 Been really wanting to go back to Iloilo for so many times now especially there's this newly - built pearly - white and Catholic-themed farm in San Joaquin called Garin Farm that is making me curious of how it looks like in real life. For convenience, you can take a ride via a golf cart (3Pax/ride). I mean who wouldn't want to not to see this one for anyone traveling to Iloilo? 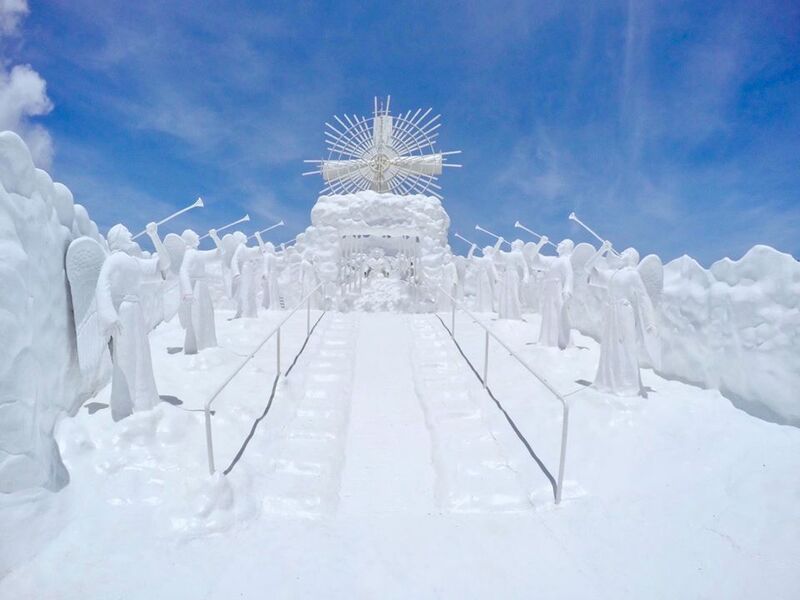 It looks perfectly Instagrammable and of course for us Pinoys who are mainly Catholics, we can always relate to the theme of Garin Farm which is all about life-sized angels and a white cross (you have to climb 500 steps to reach this) in pure white. Don't mind all the sweat, the heat and tiredness, the reward of seeing the San Joaquin coast and mountains await you. Garin Farm was designed by Danilo "Momo" Dalisay, a very talented artist who built Balay Kaliwat in San Joaquin. He is locally known as a gifted sculptor who has lots of collections of statues, plants and other works of arts. His inclination in art started through music, then shifted to drawing and painting until he found his heart is much happier into sculpting. Just a few days ago, I happened to saw a post of Johan Concepcion in a Facebook travel group for Philippine backpackers and travelers. I knew I just need to share this info for those looking for a much detailed and simple travel itinerary to Garin Farm. I asked for her permission and I am so happy that she said yes in an instant. If I didn't saw her detailed guide about Garin Farm, I would think that this is plainly a park. Little did I know that this "heavenly" place is a farm that is also home to domesticated animals roaming around freely such as ducks, chickens and cows et cetera. Garin Farm in Iloilo is actually a three-in-one destination offering agriculture, leisure and pilgrimage. From a bird's eye view, this farm in Iloilo looks like a long V shape. Measuring 14 - hectares, Garin Farm Resort in San Joaquin, Iloilo is 53.5 km from the city. 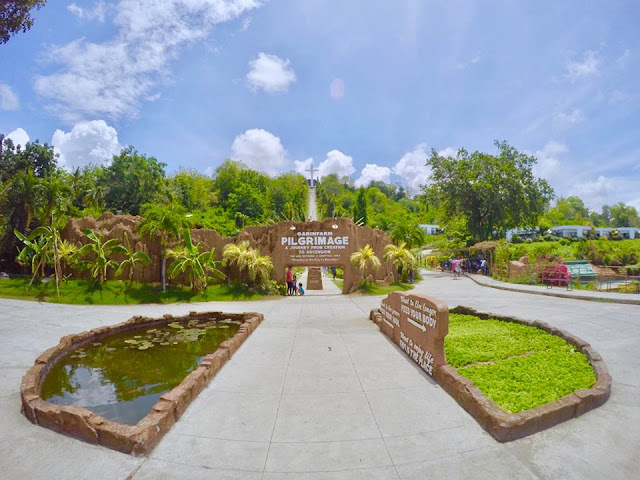 After passing by the main entrance, you have to walk under a tunnel made of dried nipa leaves and bamboo sticks which is where some veggies and vines cling to grow. Once you reach the long tunnel of veggies, you will now see the beauty of the resort in a bigger atmosphere. For those who want some adventure, this is the time that you can do some kayaking, golf carting, ziplining or horseback riding. Since this is a Catholic themed attraction, of course this woldn't be complete without the Garden of Eden, Noah's Ark, Ten Commandments and the 9 major Events in the life of Jesus Christ. All of these, you'll see the best representations at Garin Farm. Here's a mini - guide courtesy from Johan for first - time visitors in the farm of Garin. 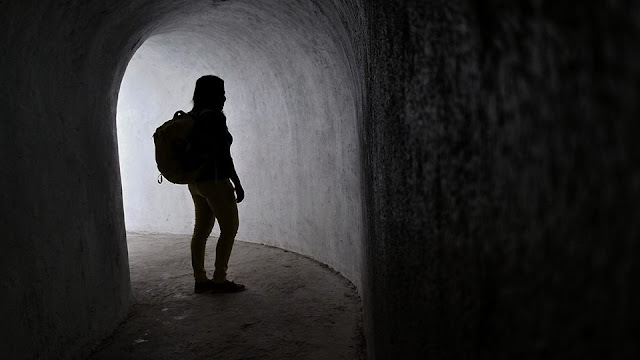 She said this place is "for those who thirst for immortality, to have a taste of heaven and a glimpse of eternal." 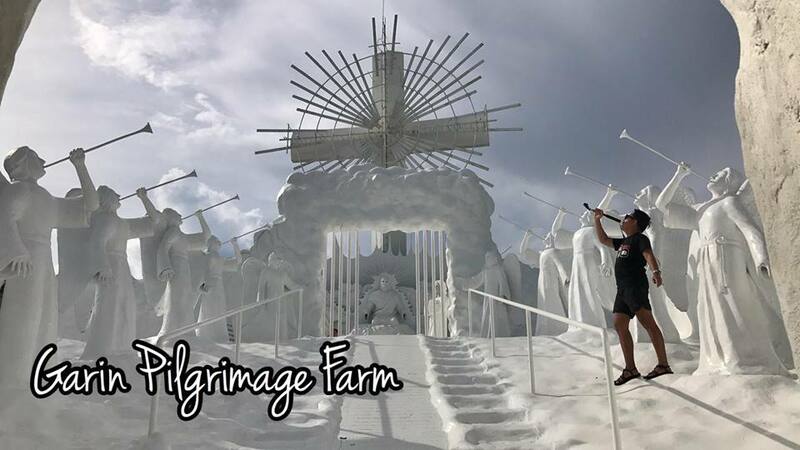 Another previous guest also left this message about Garin Farm: "The place is a good venue for those who would like to contemplate on God's wondrous, magnificent and abundant love and graces to humanity. A journey that would lead you to a deep contemplation from God's creation to God's triumph over death. The place instilled in my heart the humility and desire towards immortality, since the place reminded me of Jesus as the beacon of God and the Father's promise. The place also reminds that God has given man authority of dominion over His creation. Upon entering unusual smell will greet you, instead of feeling uncomfortable, just try to meditate that man was created from dust and thus we will return to dust. You may also contemplate which comes first? egg or chicken." From Ong Bun/Iloilo Proper. If you are staying at Ong Bun or nearby hostels in Mandurriao, head to Iloilo City Terminal Market at the back of Robinson's Place few blocks away from the pension house. Distance from Iloilo to San Joaquin is 47KM and that's roughly 1 hour and 30minutes travel time. Fare is Php 60.00. 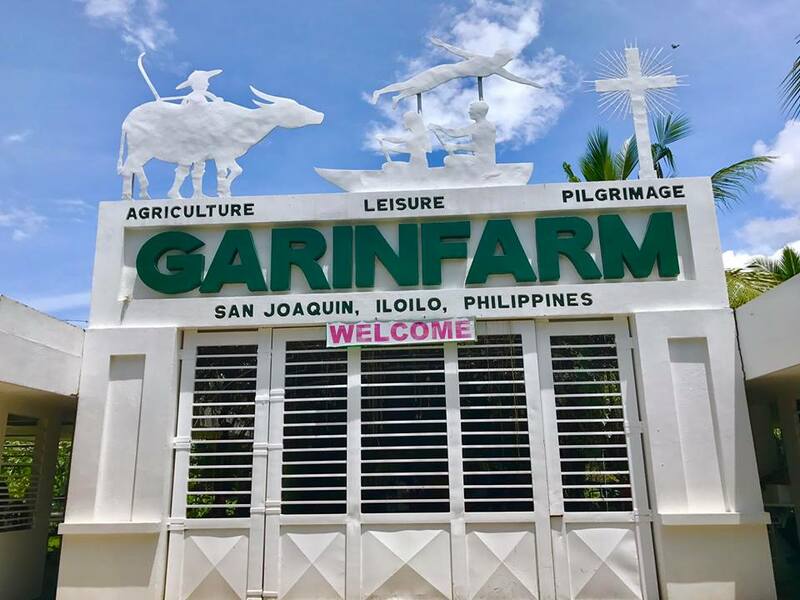 Take the San Joaquin bound jeepney, earliest trip is 4:30AM and tell the driver to drop you off at the parking area for tricycles that will take you to Garin Farm. While waiting for the jeepney to depart you can eat breakfast first at the nearest Tebz Batchoyan. 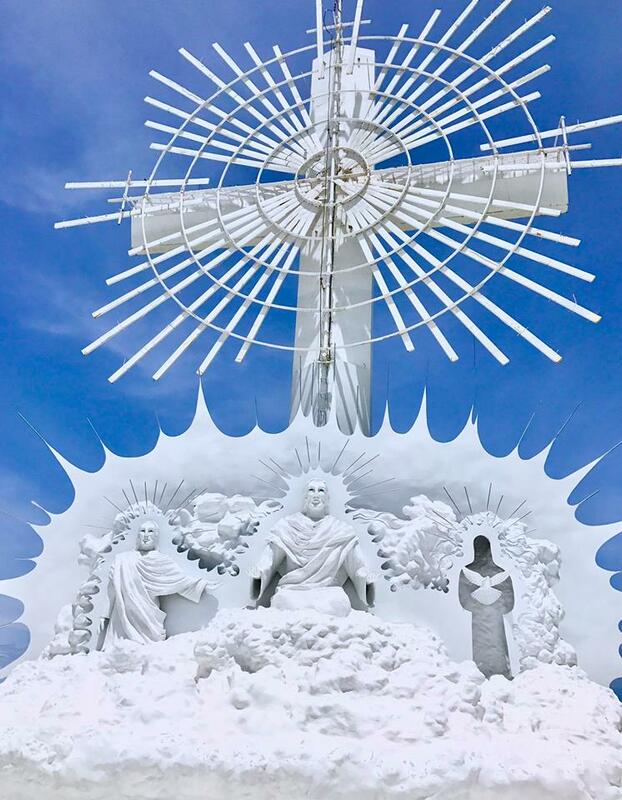 The route will pass by towns of Tigbauan, Guimbal and Miag-ao, so if you have time then don't miss to visit them. From Iloilo International Airport. You can take the shuttle van from the airport to SM Iloilo City. You can drop your baggage at the Travellers lounge if you wish to come back. From SM Iloilo City, ride a jeepney bound to Mandurriao (Robinsons Place), alight at the mall head right to Supermarket or Iloilo City Terminal Market. At the terminal, take the jeepney with signboard San Joaquin. Tell the driver to drop you off at the tricycle parking area going to Garin Farm or at the San Joaquin town proper, there are several tricycles that will take you to the farm and fare is usually Php 10.00 unless you will rent if going solo. You may also opt to take a 10-15minute hike (1.3KM). From San Joaquin Town Proper. Take a tricycle ride and tell the driver to take you to GarinFarm, Brgy. Huna. Brgy. Huna is a 3-5minute ride from San Joaquin town proper. Bring umbrellas or hats, and wear sunblock to protect your skin. (especially if you visit at lunch time. It could get really hot! Drink a lot of water before or while climbing the stairs going to the cross. Enjoy every moment, every spot of the farm. This is a vacation not a race. After Garin Farm, you can opt to see San Joaquin cemetery and of course the UNESCO heritage site, Miag - ao Church. Injap Condotel is the most recommended place to stay in Iloilo because it is right near the SM Iloilo but it is pricey. There's NO DIRECT transportation from Iloilo international airport to Garin Farm. You have to go to SM Iloilo then Super Palengke then a jeep to Garin Farm. Outside food is NOT permitted. If you get hungry or thirsty, please buy at their cafeteria. The ingredients that they use to cook food came from their own garden. Since Iloilo is just less than an hour away from Guimaras - please make sure to visit this little beach paradise that is also slowly gaining attention. 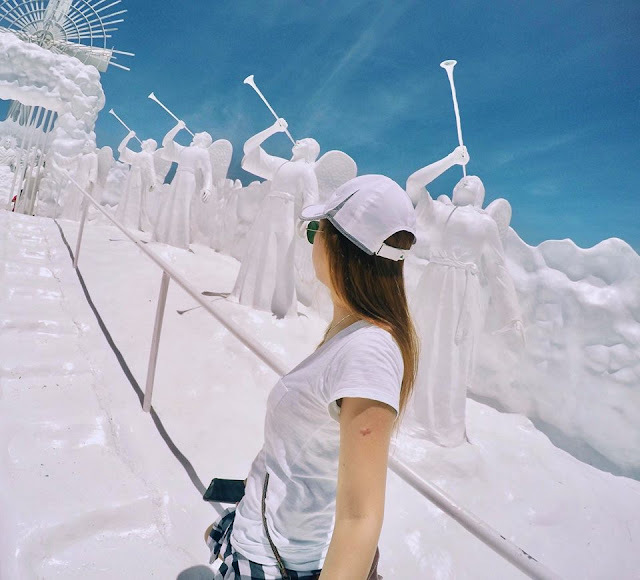 You can include the Gusi Lighthouse and San Lorenzo windmill in your Iloilo itinerary. Do not hesitate to visit the local tourism office of Iloilo if you need more help. They are one of the most hands-on tourism offices I have ever encountered. They give free brochures and leaflets you can bring with you while you explore Iloilo. From Molo Ceres Terminal, take a bus bound to San Joaquin, Iloilo. If you don't know where to alight, please ask the Driver to drop you off at Garin Farm. Travel time is approximately 1 hour and 30 minutes. The bus terminal is near Molo Church, it is the sa oldest church in Iloilo While waiting for the bus, you know what to do if you're a Catholic. From San Joaquin, you can take a tricycle ride for Php 10 if you want to share with others. If you want to hire it as special you will pay Php 60. Her last reminder is that since this is a farm, expect some foul odor so if you're a primadonna, you may not like this place or bring a thick handkerchief to cover your nose and mouth. 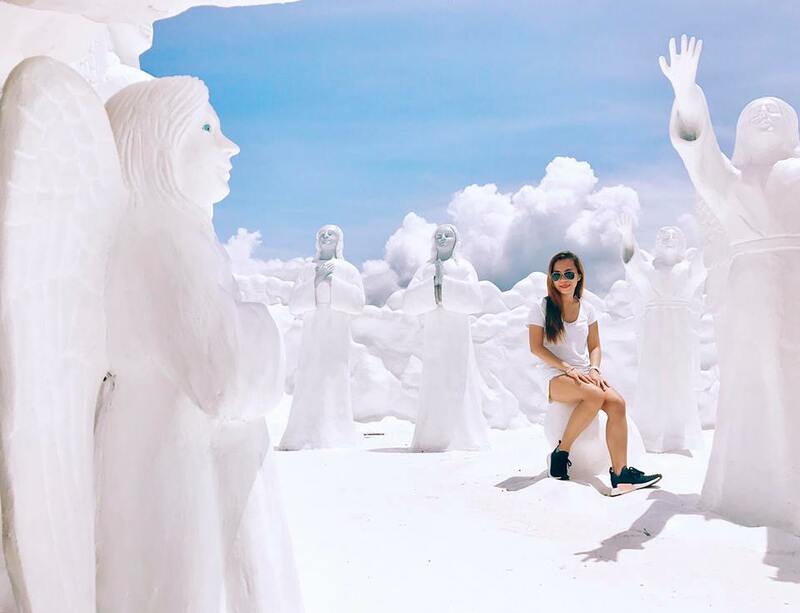 Looking for a tour package to Iloilo, Bacolod and Guimaras? We have a partner accredited travel agency that offers a very affordable rate for you. Send me a message via mariaronab@gmail.com so I can hook you up to them. Hi! Ask ko lang po if may masasakyan ba from San Joaquin to Tibiao? At ilang oras po ang byahe? Hi! Yung pong entrance na 150- iba pa po yung sa Entrance to Pavilion, Gate to Pavilion, Stairway to Cross, Cross to Pavilion and Pavilion to Gate? hi po, anong email address or contact num po nila para masend ang details?